Creating a strong search engine optimisation campaign takes time and effort. Effective SEO works hand in hand with good page design to give your website a better chance of ranking high in search engine results. At Summit Web Design, we use tried and tested techniques instead of black hat tricks to improve your website SEO. 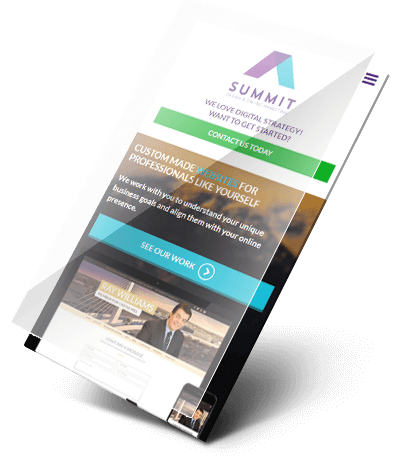 Summit Web Design creates web pages for its customers that rank high in searches because we incorporate SEO techniques from the beginning, starting with concept all the way through to final design. Although best SEO practices continue to evolve, one fact has always remained constant: websites must be designed with the end-user in mind. That’s why Summit Web Designconcentrates on the basics, namely to create a seamless experience for the end-user and to communicate the purpose of your company to search engines so that it will achieve high rankings when customers search for your product or service. Visitors will return time and again to your website if the design is bright, clean and easy to use, but more importantly, you want to turn those visitors into actionable customers. That’s where proper SEO technique comes in. Fresh, informative and engaging content with the right range of keywords can increase the rate of traffic to your website. By focusing your content on specific keywords, Summit Web Design can help build links, increase reach and ultimately your authority. When combined with a responsive design that works well across all platforms, it’s a win-win situation. 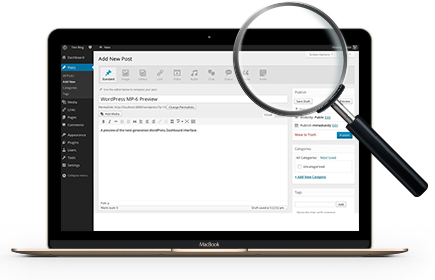 Interested in learning more about WordPress and if it may be the right fit for your business? Contact us today and we will help you create a unique digital strategy. We are a boutique web agency with a dedicated and enthusiastic team. What problem can we solve for you?